Come out and celebrate the official kick-off to Buffalo Beer Week at the Buffalo Beer Week Opening Gala at the Adam Mickiewicz Library & Dramatic Circle on September 23 at 7pm. Local beer from all of your area favorites will be on tap at the kickoff event, live music will be provided by GRAVY and the Steam Donkeys, award-winning a-la-carte pierogies will be available for purchase and Smoker’s Haven will be on hand for all of your cigar-related needs. 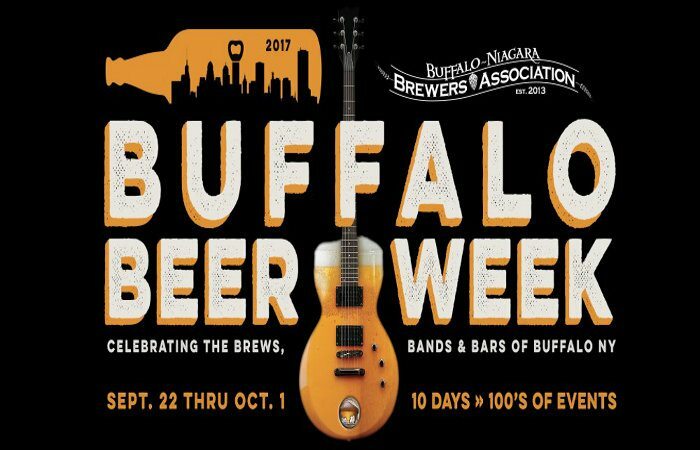 Help get Buffalo Beer Week underway the right way – with great local beer and local music. $5 donation at the door. 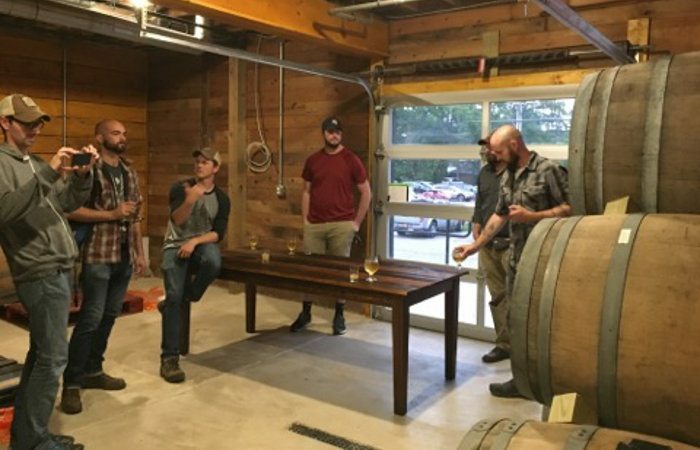 42 North Brewing has officially opened its barrel house, 42 Below. The facility, adjacent to the 42 North brewery in East Aurora, will serve as the production and aging facility for 42 North’s barrel aged and sour beer line. 42 Below will hold 50 oak barrels from all over the world including white wine, red wine, bourbon and scotch barrels. 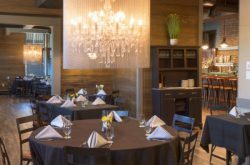 42 North is also launching “The Vagabond Society,” a member’s only club offering members exclusive events, first rights to barrel aged beers and special discounts. Only 100 memberships in to the Vagabond Society will be sold beginning on October 1st. Southern Tier Brewing Company will hold the second annual Pumking Fest in honor of the beloved imperial pumpkin beer on Sept. 23. 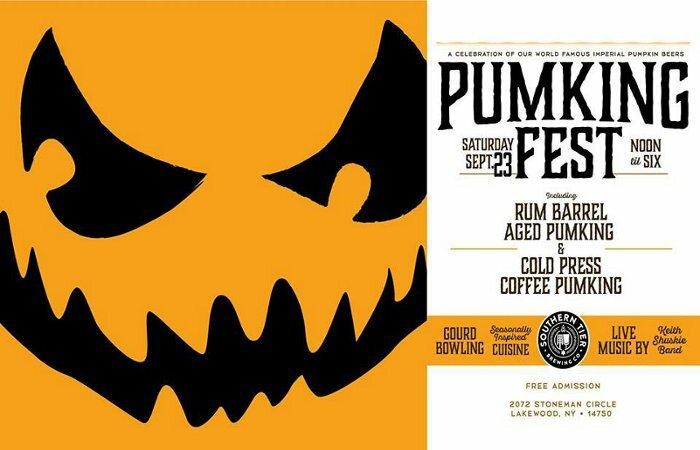 The event, which takes place from 12pm-6pm on the grounds of Southern Tier in Lakewood, will play host to a number of special features built around the fall beer favorite, including Pumking & Warlock Imperial Stout (with pumpkins) brewery exclusive variants, gourd bowling, seasonally inspired cuisine, live music from the Keith Shuskie Band & the release of their Rum Barrel Aged Pumking Ale. Buy it at Pumking Fest first! This event is free and open to the public. 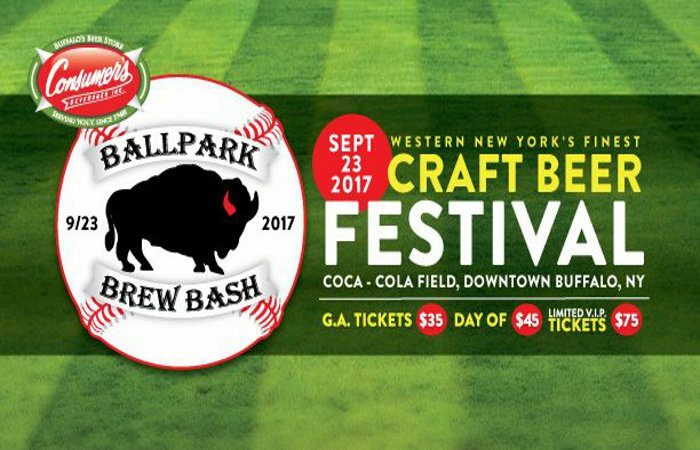 The 2017 Ballpark Brew Bash takes place at Coca-Cola Field on Sept. 23, 4-7pm. The event, sponsored by Consumers Beverages, features over 50 breweries from across the globe, local favorites and New York institutions. Tickets can be purchased at Tickets.com. 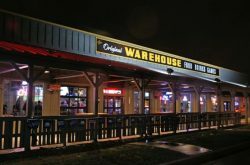 Before the Brew Bash, join Old First Ward Brewing and 42 North for the official pre-party. 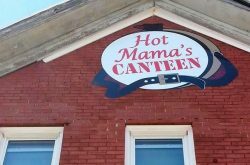 Cost is $60 and includes a pint at 42 North, bus ride to OFW, clams, corn, pint of OFW beer, 1 GA Brew Bash ticket and round trip bus ride. Then after the Brew Bash, head to Lockhouse Distillery for the official after party with the band THE RIFTS playing.